With another 84 new rules, regulations resumed their usual torrid pace for the second week in a row, and the Federal Register topped 13,000 pages. Last week, 84 new final regulations were published in the Federal Register. There were 81 new final rules the previous week. That’s the equivalent of a new regulation precisely every 2 hours. So far in 2014, 522 final regulations have been published in the Federal Register. At that pace, there will be a total of 2,900 new regulations this year. This would be the lowest total in decades; this will likely change as the year goes on. Last week, 1,507 new pages were added to the Federal Register. Currently at 13,178 pages, the 2014 Federal Register is on pace for 73,211 pages, which would be the lowest total since 2009. Rules are called “economically significant” if they have costs of $100 million or more in a given year. Six such rules have been published so far this year, none of them in the past week. The total estimated compliance costs of 2014’s economically significant regulations currently ranges from $614 million to $885 million. They also affect several billion dollars of government spending. 51 final rules meeting the broader definition of “significant” have been published so far this year. So far in 2014, 105 new rules affect small businesses; 16 of them are classified as significant. The FAA is updating its information collection requirements for pilots and aircraft dispatchers. Two new air quality rules for Oklahoma. The EPA updated its effluent regulations for construction sites. 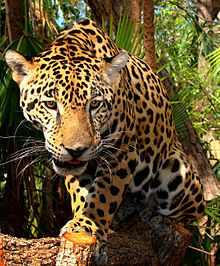 The Fish and Wildlife Service designated 764,207 acres of critical habitat for jaguars in Arizona and New Mexico, or nearly 1,200 square miles. The federal government has a Soybean Promotion, Research, and Consumer Information Program. A new rule amends its referendum procedures.